In medium nonmetal bowl, mix all ingredients. Cover; refrigerate 1 to 2 hours to blend flavors. Serve with tortilla chips. Cover and refrigerate any remaining salsa up to 5 days. 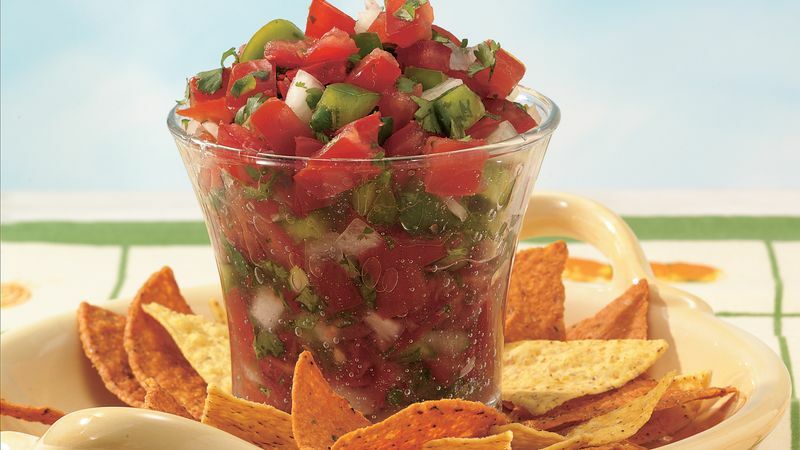 At only 10 calories per delicious serving, this salsa makes a terrific topper for chicken, a tasty dip for tortilla chips or a fabulous addition to an omelet.